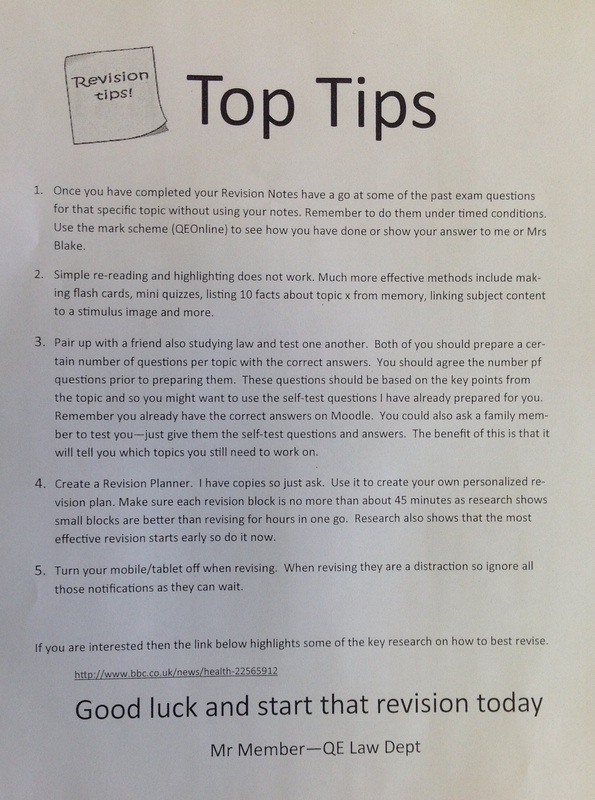 In the Law Dept we have put together a student-friendly sheet on “How to Revise”. A lot of the ideas have come from research into what actually works and what does not. 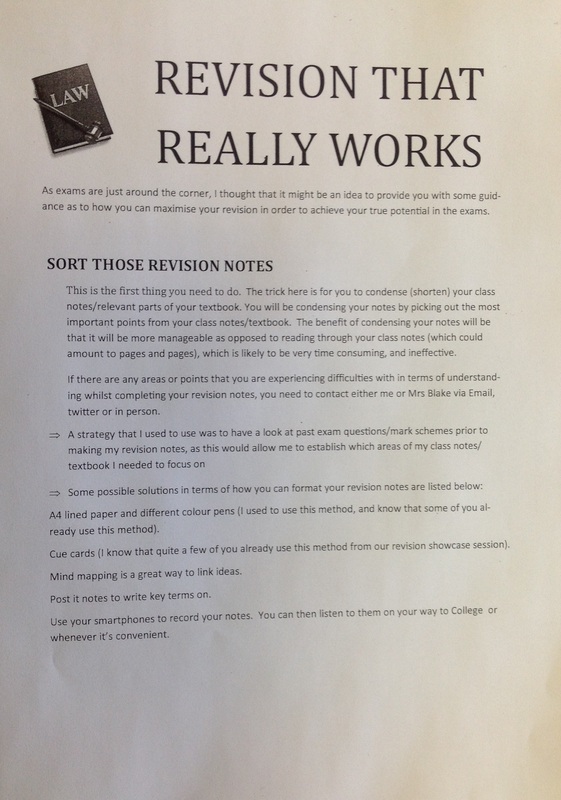 If you would like an editable copy for your department please get in touch with me or Matt Smith. More information on the research can be found in this blog.